People are often impressed by those who are bilingual. Spanish Studio has selected 8 celebrities who aren’t just talented in one field, they are also fluent in Spanish! Many of them have travelled in Hispanic countries, or used the language during their work, and fell in love with the culture, which is a good reason to speak Spanish. She spent a year as an exchange student in Talavera de la Reina in Spain and she really enjoyed the country. Today, she visits Spain at least once a year, since she considers the country as “a second home”. She is still close to the family she lived with while she stayed there, and even considers them as her Spanish family. Her two children are also learning Spanish. One of her biggest dream is to work with the famous Spanish director Pedro Almodovar! 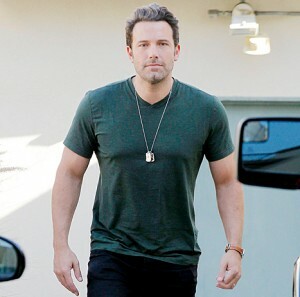 Did you know Ben Affleck lived in Mexico when he was a teenager? That’s how he learned Spanish! He also played in movies where he had to use his Spanish skills, for example in “Runner Runner” since he plays a Latin CIA agent. And who knows, maybe Ben Affleck practiced his Spanish when he dated Jennifer Lopez? Matt Damon learned Spanish when he was 15 years old in Mexico and in Guatemala, where he went backpacking. His wife is from Argentina, and his two children are also fluent in Spanish. Matt Damon would also love to work with the famous Mexican director Alejandro González Iñárritu, because he would move to a Spanish-speaking country with his family! 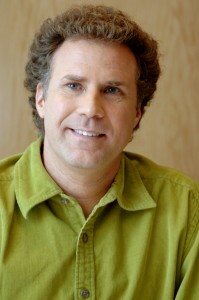 Will Ferrell has studied Spanish for 3 years and improved it when he was shooting in the movie “Casa de mi padre” where he plays a noble ranchero and speaks entirely in Spanish. The famous Spanish actor Garcia Bernal was even helping Will Ferrell with the pronunciation. Since Natalie Portman went in Madrid to shoot the movie “Goya’s Ghosts”, she fell in love with the Spanish culture and decided to learn the language. She says “Spanish is one of the languages most useful in the world”. She also likes to read books about Argentina in the 70’s. Viggo Mortensen moved with his parents when he was only a child in Venezuela, then in Argentina in the provinces of Córdoba, Chaco, and Buenos Aires. He went in primary school there and became fluent in Spanish. Later on, he earned a degree in Spanish studies and politics! He started learning Spanish during the shooting of “Seven pounds”, where we see him speaking the language in some scenes. Since then, he decided to improve his Spanish regularly. Will Smith talks Spanish whenever he gets the occasion, and even answers in Spanish during his interviews! Join these celebrities and start learning Spanish with Spanish Studio!